Emily and David were married at St. Mary’s Church in East Brent on Saturday 9th May 2009. The day started with Emily’s preparations at her parents house in Weston-super-Mare. The church was only 10 minutes away in East Brent where I was greeted by a relaxed groom and his fellow men. 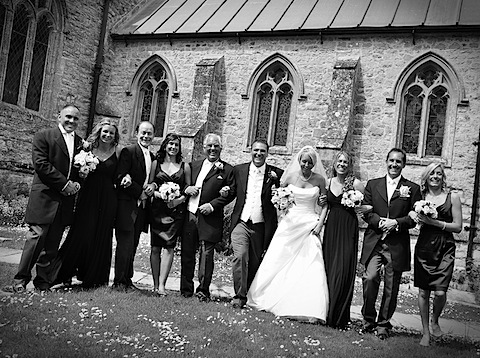 After they were happily married, they moved on to Home Farm in Badgworth for a marquee reception.